Here is a sneak peek at some of Nicole Richie's S/S11 designs for her brand Winter Kate. Nicole Richie opted for another Nicole to model her S/S11 collection, Nicole Fox - contestant from America's Next Top Model. Nicole worked the fabulous floral and floaty designs along with House Of Harlow 1960 oversized retro style shades. What are your thoughts on the new Winter Kate collection? 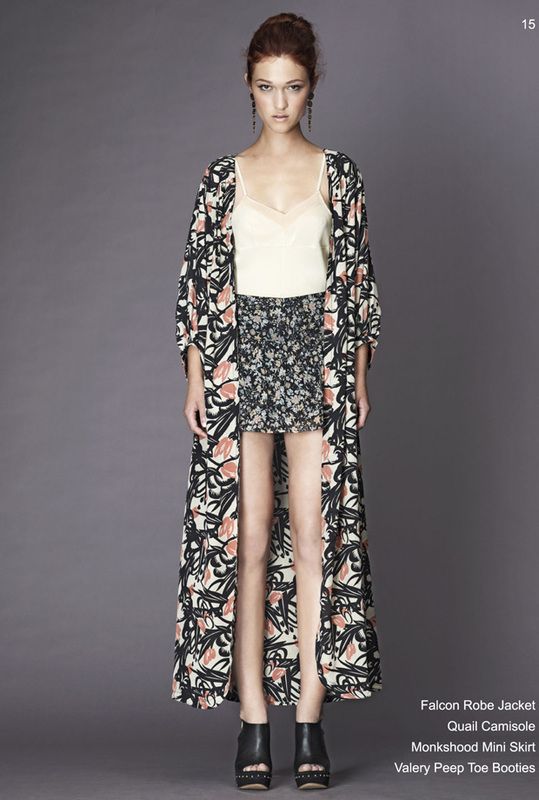 Love this collection, and the contrast, and I love the tailoring, and highwaisted shorts, its just all gorgeous! I can't wait for it to come to stores!